I became interested in Taoist philosophy over twenty years ago after reading a book called Life Without Stress by a dentist called Arthur Sokoloff. I picked it up in a bookstore on my travels and I guess it would have been unremarkable had it not provided insights that were to change the course of my thoughts over the next two decades. Taoism is one of three major religions of ancient China and while it is often discussed in the west as having two branches, philosophical (Daojia) and Religious (Daojiao), within China there is no such distinction. Rather it is a combination of mythology, folk practices, religious rites and a philosophy first written about by the legendary Lao Tzu in the Tao De Jing. In the west, the ideas of going with the flow and living a natural and spontaneous life have been absorbed by the new age movement and some of the real wisdom has been lost. In my own explorations of Taoist philosophy I was always attempting to find a way to incorporate the ideas realistically into my busy western life. What follows in this post is not written by an expert, but rather one who is happy to share my own thoughts in case they are of benefit to anyone else on a similar path. I have read widely over the years and much of what I have written are ideas that have no doubt been shared by others that I unfortunately am not able to specifically credit. The idea of Tao as ‘the way’ can be seen as being ‘the way of nature’ or the natural order of things. There is a belief that the Universe is (or tries to be) in perfect harmony and that if one recognised this fact, and lives in alignment with it, the result is personal happiness. In contrast to the Western world’s consumer-driven approach to life, Taoism emphasises personal growth and contemplation, inner vitality and well-being, going with the flow and living a simple life. Tao is universal energy and the force of life itself. Tao is the Universe and nature is the temple of Tao. 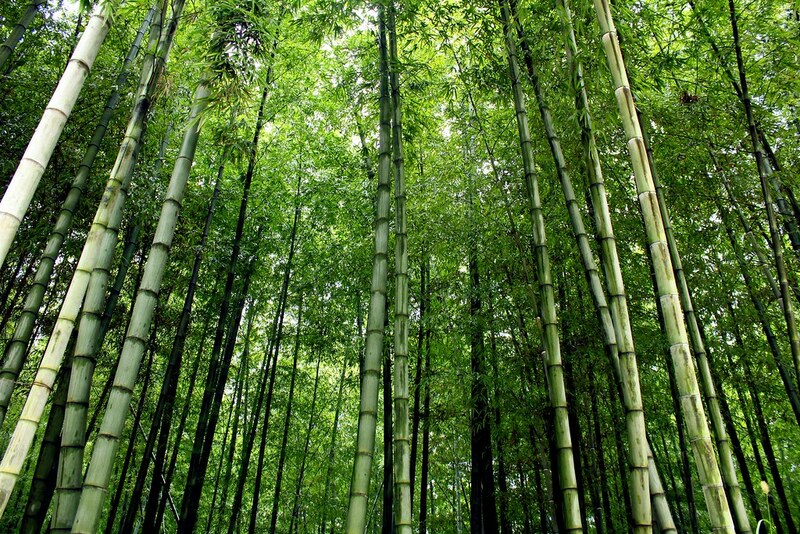 Tao is the way of nature, or the natural order of things. It is the mystery of life, the unknown and the unknowable. We are all energy and the concept of Tao is similar to the Buddhist ideas of interconnectedness and interdependence. Ideally we align ourselves with the great universal flow of energy and experience the oneness with all life that is Tao. Ultimately we need to let go of knowing and just be. 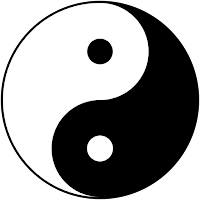 The Yin Yang symbol provides us with a model of universal change. Within nature there is a dynamic movement towards a state of balance and there is an underlying unity of all apparent opposites. Yin Yang reminds us that time is cyclical, not linear. Things change and change is both constant and cyclical. It is important to get in tune with the cycles of life and to find a point of balance. If we remove any separation between this and that we can become one with Tao. Te is our own personal part of the Tao, it is our own universal energy. When Te and Tao are in harmony, we find the source of our personal power or virtue. By being aware of and connected to Tao, our life will flow smoothly and we will live a meaningful and valuable life. Aligning with Tao gives us strength – strength of character, physical strength and mental strength. Virtuous life comes naturally when we live in alignment with Tao. Ch'i is the cosmic vital energy that enables human beings to survive and links them to the universe as a whole. Ch’i is an important component of the Taoist wellness practices. In traditional religious and folk Taoism, the goal of spiritual practice was often considered to be immortality. Of course this didn’t mean living forever in a physical body, although some alchemists did kill themselves trying to achieve physical immortality. Rather, the idea of immortality is that the Taoist draws closer and closer to nature throughout their life and when death comes it is simply the final step in achieving complete unity with the universe. Another concept of Taoism that could be considered a goal is that of Wu. The concept of Wu can be seen as the still point at the centre of the wheel of life. When we embrace Te, let go of desires and flow with Tao we find a stillness (called Wu, meaning emptiness) that is characterised by serenity, contentment and openness. We are at peace, we are happy with what we have and we are open to whatever life may bring. In many ways Wu can be seen as reaching a point of acceptance, of trusting the universe and taking life as it comes. At this point there is a sense of connection to the source. Serenity deserves special mention as this is the goal of modern Taoists on a practical day to day level. Serenity is a state of mind characterised by inner peace and a sense of calm. There is a genuine acceptance of the way things are, true equanimity and a deep sense of contentment. With this comes a joyfulness that results from having a direct and true connection with the source. The ultimate purpose then is to live our life in harmony with the Tao and experience the serenity that results from this connection. How do we live the Taoist principles? If the goals of Taoism are to attain a state of serenity, or a sense of being in harmony with the Tao, we need to focus on the practices of Wu Wei or going with the flow and naturalness or living simply. To help us with both of these it is important to access the three treasures or cultivate the virtues of compassion, moderation and humility. Wu Wei means non-action or acting without action. It is a concept that seems complicated at first but can be more easily explained as ‘going with the flow’. Rather than fighting against life and nature, and being ruled by our desires, we can embrace the flow of life energy and take life as it comes. This is characterised by trust in the process of life, trust that the universe will provide us with what we need, acceptance of what is, flexibility and a willingness to just take each day as it comes. The idea of Wu Wei shouldn’t be confused with laziness or a lack of direction, but rather a sense of flow and acceptance of what is. It is also characterised by non ego-motivated behaviours, or effortless action towards a goal. It is important to be patient, to not force things, accept that the cyclic nature of time will bring change when required and that nature will take its course. P’u can be translated as the uncarved block and is a metaphor for simplicity or the natural state of something. The idea of naturalness includes living simply but also reminds us that it is important to be as close to our natural state as possible. In order to find our natural state of being, or our p’u, we need to simplify our lives, our perceptions, thoughts, actions and speech. This means to get rid of material desires and worries and to be content with the simple things. Tzu-jan can be translated as ‘of itself’ or ‘itself so’. This concept relates to that which is our natural state, or doing what is natural to us. Tzu-jan is often linked with the concept of acting spontaneously. Naturalness is about being creative, curious, joyful and spontaneous, like a child. Part of naturalness is also about being in harmony with nature and the natural processes of life. It is important to live simply and humbly and experience joy in the little things. Having a sense of wonder at the miracle of the universe and our place in it puts everyday concerns and worries into perspective. Without simplicity we cannot access the Tao. When you live simply and with your natural state of being you find harmony, and a sense of Wu. Lao Tzu spoke of three treasures (or virtues) that help us develop Wu Wei, embrace naturalness and find serenity. They are compassion, moderation and humility. Developing these virtues helps one to cultivate a way of being that is harmonious with the Tao. Compassion is about love, kindness, benevolence, nurturing, tolerance, and putting others first. It is about connection to others. When we realise that we are all part of universal Tao energy, our sense of identity expands to include all beings. Compassion leads to courage and with courage we can make a positive contribution to others and to our communities and as a result to the world. Moderation is about having restraint, not getting caught up in desire and excess, finding a balance between different areas of life and being content with what is. Moderation is connected to the idea of p’u and simplicity or frugality. It is important to avoid excess in order to preserve harmony. Moderation leads to generosity, as when one is not focused on material gain it is possible to give generously to others. Humility is about being modest, not being boastful, not always having to be the winner or be known as ‘the best’, accepting yourself as just a tiny part of a huge universe, and serving others. By following others it is possible to observe and determine the needs of the moment and then provide service accordingly. Practising gratitude fosters humility. Humility is connected to leadership and the Taoist texts teach that the best way to lead is from behind, and to lead by example and show others that humility is the way to live a fruitful life. 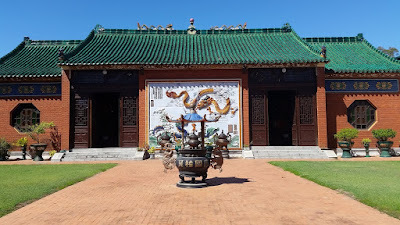 There are a wide variety of Taoist spiritual practices ranging from contemplative study and meditation to martial arts and qigong to divination and the use of talismans. Many traditional practices are unique to the culture of China but many others have been adapted and used in the West. The following are three broad areas of practice but each person will have their own unique combination of practices to connect with Tao. In both Taoism and Zen contemplation is an important component of spiritual practice. In Zen the art of Zazen, or seated meditation, is the defining feature of spiritual practice. While many Taoists meditate, many do not. Contemplation is a broader term that involves being mindful and reflecting on knowledge and practice. Intellectual knowledge is not the goal of either Taoism or Zen, a more intuitive understanding, or wisdom, comes from learning and then reflecting on how teachings can be applied to real life and making meaning from lived practice. Taoist texts such as the Tao Te Ching, Chuang Tzu and I-Ching can be studied and reflected on. Many Zen teaching stories are also helpful. Nature connectedness is a term that basically means the degree to which an individual sees themselves as being connected to nature. 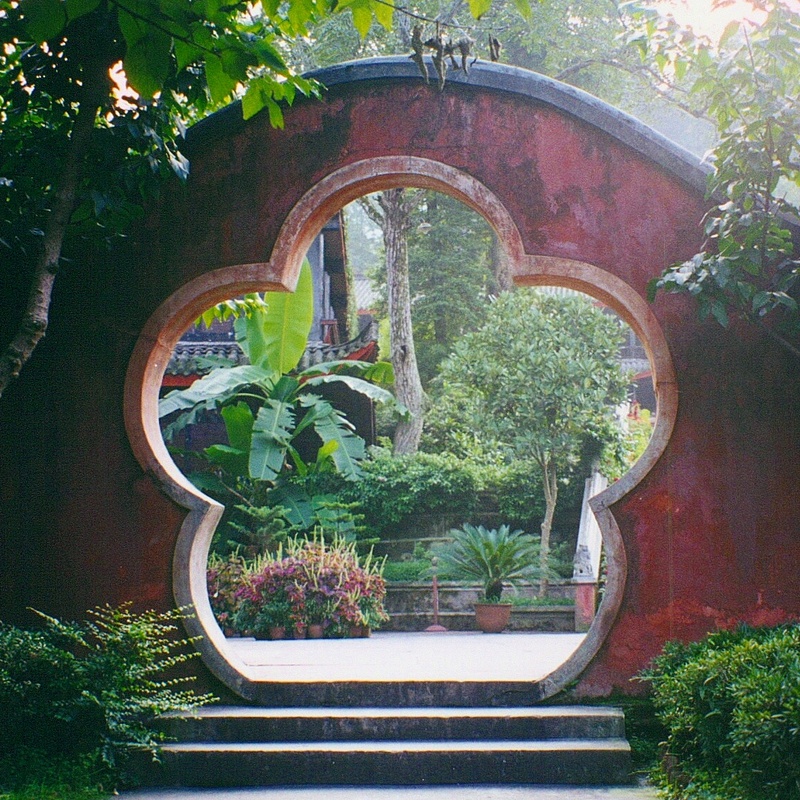 In Taoism, nature is like the temple. Spending time in nature and contemplating nature and the vastness of the universe is a spiritual practice. Nature helps us to cultivate a sense of wonder and to see beauty in the mundane. By spending time in or contemplating nature, we can foster a sense of connection to all that is and feel part of the greater whole. An important way that people have maintained a connection to nature is to celebrate the seasonal changes. Many of the festivals we celebrate are linked to the seasons. Taoist wellbeing practices are better known in the west than many other elements of Taoist philosophy. Martial arts including Tai Chi and Qigong are part exercise, part meditation and part healing, and daily practice is extremely beneficial. Traditional Chinese Medicine and nutrition are also valuable for wellbeing. The Taoist art of Feng Shui can be considered a wellbeing practice as the Chinese believed that if the energy flow of our home was not good then we would not be well and would not prosper. The Japanese concept of wabi sabi can also be considered when creating a personal sanctuary at home. Creative expression is an important element of Taoist practice. Creativity is not an option but something that is available to all of us. Without avenues to express ourselves in creative ways, we will not have the sense of wellbeing we desire. Activities like art, origami, photography, writing or music are among many choices for creative expression. 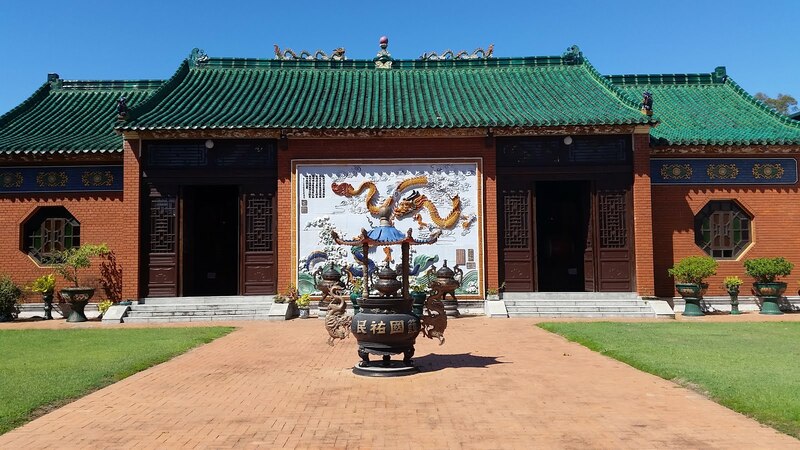 What does a Taoist Life look like? What does this look like in daily life? It is one thing to have a spiritual philosophy and worldview but how do we actually live that in everyday life? What does ‘living the Tao’ actually mean? Despite Taoism’s ‘go with the flow’ approach, a disciplined spiritual practice can lay the groundwork for deeper understanding. Engage in wellbeing practices (exercise, eat well, get enough sleep, be creative and relax). Spend time alone and have quiet time (maybe even just drinking a cup of tea, or reading). Live in the moment and try to be more mindful in daily routines. Do things that make you feel happy, be joyful, smile, and laugh.